Australia's capital city is located in the Australian Capital Territory. Although this modern city has a reputation for being a bit on the dull side, the millions of tourists who travel here from all over the world each year soon discover this is not the case. While it may not rival Sydney as an international partying mecca, Canberra’s nightlife is as diverse and vibrant as you’d expect from a cosmopolitan capital city. From scruffy pubs to show-stopping cocktail bars, intimate dance clubs to cavernous casinos, you’re sure to find a nightspot that’s perfect for you. Canberra’s reputation as a serious seat of government means that it’s sometimes overlooked as a family destination. But the Australian capital in fact boasts a wealth of attractions to keep visitors of all ages enthralled for days on end, including offbeat delights like a reptile zoo and a miniature display village. Melbourne may take all the cultural credit, but the capital city of Canberra has its share of Australia's artistic attractions. The museums are among the finest in the country, with inspiring art galleries, historical hubs, and national archives packed with quirky cultural artefacts. There’s a thriving performing arts scene to experience as well. The capital city of Canberra is an excellent place to eat as just about every type of food imaginable can be found here. The restaurants here are generally reasonably priced and visitors can dine on anything from modern Australian cuisine to Italian, Thai and Chinese dishes. Central Canberra features a number of large shopping malls, department stores, fashion boutiques and markets, making it a great place for bargain hunters. A wide range of prominent stores such as Myers and David Jones can be found here, as well as unique stores selling locally produced goods. Built in 1913, Canberra is a very modern city and there are no ancient sights to visit. However, there is a large number of historically significant buildings and more than 30 impressive structures to explore, all located around the city's many parks and other natural beauty spots. 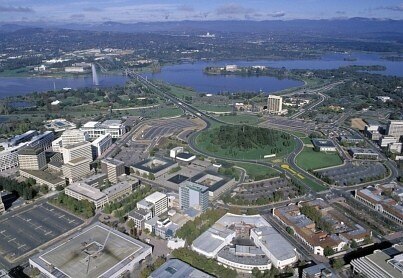 Canberra is a vibrant, multicultural capital city, and a large number of people visit from all over the world. English is the main language and is spoken throughout the city, making communication simple. Although most of the main attractions and sights can be visited on foot, the city is also blessed with an excellent public bus system. Australia's capital city has no shortage of entertainment options. People travel here from all over the world and there are plenty of places to shop, drink and dance after dark and enjoy outdoor activities such as bush walking and boating. Unfairly maligned in the past as a bland political centre, Canberra is shedding its stuffy image and becoming recognised as the gem of a city it truly is. Its cultural credentials are impossible to argue with, as there’s a slew of world-class museums and galleries just begging to be explored. These sit alongside an ever-growing and increasingly diverse array of hip cafés, cutting-edge boutiques, gourmet restaurants, and pumping nightclubs.